The grille LMT-SHD has been specifically designed for mounting in Heavy Duty Raised Access Floors in Computer Rooms. 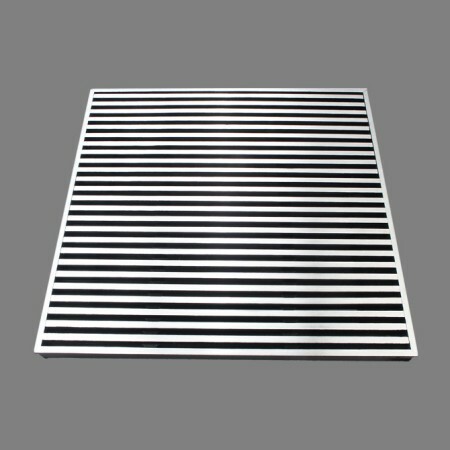 The grille is also suitable as a 600 mm. tile on any applications where heavy foot or equipment traffic is to beexperienced. Extensive testing by an independent laboratory has certified its capability in satisfying the stringent point loading and safety factor requirements of the major specifications governing the movement and mounting of the heavy equipment used on such floors.